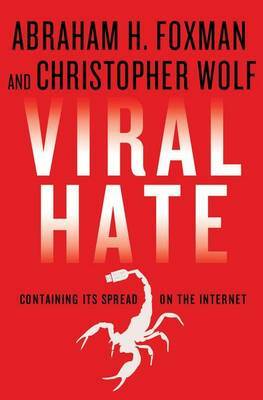 Emboldened by anonymity, individuals and organizations from both left and right are freely spewing hateful vitriol on the Internet without worrying about repercussions.Lies, bullying, conspiracy theories, bigoted and racist rants, and calls for violence targeting the most vulnerable circulate openly on the web.And thanks to the guarantees of the First Amendment and the borderless nature of the Internet,governing bodies are largely helpless to control this massive assault on human dignity and safety. Abe Foxman and Christopher Wolf expose the threat that this unregulated flow of bigotry poses to the world.They explore how social media companies like Facebook and YouTube, as well as search engine giant Google, are struggling to reconcile the demands of business with freedom of speech and the disturbing threat posed by today's purveyors of hate. And they explain the best tools available to citizens, parents, educators, law enforcement officers, and policy makers toprotect thetwin values of transparency and responsibility. As Foxman and Wolf show, only an aroused and engaged citizenry can stop the hate contagion before it spirals out of control - with potentially disastrous results.